Bismillahi r-Rahmani r-Rahim. Let us start O Shah Mardan. Your yaran are your admirers. May our day be mubarak. May our Night of Bara’at be mubarak. May our Lord accept us for His servanthood. O Yaran Shah Mardan – Allah Allah- those who keep the way of Allah’s Lion. Keep the lion’s way and you will be a Sultan. Don’t keep the way of donkeys, you will be a donkey. Hayfa, shame on those people who cannot present their service to their Lord Who made them Sultans. Hayfa, shame on them. Go ahead O Shah Mardan. Your yaran are your admirers. Your knowledge is abundant, your ‘hilm’(mild-manner) is abundant. You are the representative of the one who is dressed with Sultanate from the Heavens. Allahu Akbar, Allahu Akbar Allahu Akbar wa Lillahi l-Hamd. Allahumma inni dhaifun wa qawwi dha’fi fi ridak. O our Lord, we are weak servants. There is no power in us. However Allah Almighty made Man, Sultan on earth. Go ahead O Shah Mardan. Go ahead and speak, explain for us who is Man. Who is Man? This is a sohbat from Shah Mardan to us, which teaches what our path, our destination should be; what things we should do. Shah Mardan is a Sultan. Where is his knowledge from? His knowledge is from the knowledge of Rabbu l-Izzat’s Beloved Habib (sallAllahu alaihi wa sallam), it is a drop from the ocean of his knowledge. O Allah! 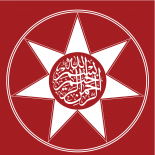 Bayyid wujuhana Ya Rabbana. (Whiten our faces with light). Let us pray. This last night, the 15th of Sha’ban al-Mu’azzam, it was Laylatu-l Bara’at, wasn’t it? May He(SubhanaHu wa Ta’ala) dress on us the fadhilah (virtues), the barakah (blessings), the honour, the rif’at (dignity), the majesty, the uns (familiarity), the power of this Laylatu-l Bara’at. Be a man so that you can be dressed! They don’t bring a man who sweeps the streets and make him sit on the throne of the Sultan. How can that be? A person who collects trash? The Children of Adam – the mumtaz (distinguished) one who is sent to earth to rule is Shah Mardan. He is the lion who is appointed to declare the honour of the children of Adam on earth. They are sent from Heavens to earth. He is appointed to discipline them, to teach them adab. O yaran Shah Mardan- the yaran, lovers of Shah Mardan; Al-mar’u ma’a man ahab. The person is with whom he loves. Know that a person is with whom he loves. Love, so that you can be loved. If you don’t love, people won’t love you either. You should love, you should know how to love. Who has forgotten to love someone, who doesn’t know how to love is not Man. A person who knows how to love is crowned. Allah Allah! Madad Ya Sahiba z-Zaman, Madad Ya Sahibul-Dawran, Madad Ya Shah Mardan. Allah Almighty Who is al-Khaliq (The Creator) created you for service. People should pay attention to this. Go ahead O Shah Mardan. Listen, listen to what comes from Shah Mardan. Last night was the 15th day of Sha’ban al-Mu’azzam. It is a mu’azzam (great) month, and it is a mu’azzam night. Last night was the night when a Nur and surur (joy) which is impossible to describe descends from the Heavens and is dressed on the Children of Adam. Say “Allahu Akbar, Allahu Akbar, Allahu Akbar” and don’t fear. Don’t scream, don’t scream and go out in the streets. Go ahead O Shah Mardan, may you describe us. Your listeners, your yaran, who love you, are all listening. How should you be? What should you be living for? How did you come into existence? For what do you exist? Is there anyone who asks this? Is there anyone who asks “For what reason are we in this dunya?”. There is no one who asks because there is no one who recites the Bismillah. Say Bismillahi r-Rahmani r-Rahim and such doors open for you. But what they teach (in schools) is – there are lions in Africa, there are tigers in India. There is shaytan in China. There is a foolish one in Russia. And for the others, each one has a mentality and a quality. But the quality which is really asked from man is, your Almighty Lord created you for service. He(SubhanaHu wa Ta’ala) is the Sultan of Sultans and He (swt) invited you to His service. Invitation meaning, Accept My service. Don’t say “May I be a Bey, may I be a Pasha, may I be a King”. What are you on this earth? Why do you exist on this earth? You should know this. He (swt) did not create you to be a Bey, to be a Pasha, to be an emperor in dunya, but created you for service, the Khaliqu-l Yazdan. Go ahead O Shah Mardan. He says, our Lord Who created us and sent us down from Heavens to earth created us for service. But you serve donkeys! It has no value! Can a person who serves the Sultan be the same as who serves donkeys? You are attracted to the dirty dunya. You say “I want the dirty dunya”. You say “I am a servant to dirty dunya”. What can you gain from it? Don’t sleep! Open your eyes. Here, this night is Laylatu-l Bara’at. Laylatu-l Bara’at. O Yaran Shah Mardan. O Shah Mardan, inform us. Tell us what a night this night is. Tell us about the power of Laylatu-l Bara’at. Allahu Dhu l-Jalal informed our Prophet (sallAllahu alaihi wa sallam) of its power and majesty and he (sas) informed Shah Mardan. Go ahead Shah Mardan, describe for us how the service of Allah should be. You open your door and run to your business. You open your door and run to your farm. You open your door and run to your office. What is this? What a burden is this you have, that you run outside as soon as you open your eyes, even before washing your face. You say “I am going to work”. What is your work? “I have a grocery shop”, or “I am a green grocer”, or “I am a worker in the government office” or “I am the government”. Where is the dhawk (pleasure), the shawk (enthusiasm) in this? There is nothing. Do you say Bismillahi r-Rahmani r-Rahim when you open your door? Do you say the Name of Who created you? Know this O man, know your honour. Know your honour. What will they do with you if you don’t know? If man doesn’t know about his honour – before there were water-wheel donkeys for the wells. Do you know of them? The water-wheel donkeys. At that time there were no pumps, motors like now. They would dig a well and pull up the water from it. It keeps turning and turning around, to pull up the water. They cover the eyes of that animal also and say “let it turn around”. It keeps going around. Then? Then water comes up. O man, are you a water-wheel donkey? Did Allahu Dhu l-Jalal, Who is the Sahibu-l Mutlaq (Absolute Owner) create you as a water-wheel donkey? O shameless ones! For this they are beaten with whips, with sticks more and more. O Man! What all the 124 000 Prophets said, “Your Lord created you for His service”. He (SubhanaHu wa Ta’ala) created you for His service, not to be water-wheel donkeys. So now the people of this time, the little men, the animals in the shape of men, don’t understand that our honour and service is in service to the Creator. Our Lord did not make us water-wheel donkeys – The animals whose eyes are covered and turn the wheel around from morning till evening, to pull up a handful of water. Why do you degrade yourself to this level? O people! O Turk, O Kurd, O Alawi, O Shi’a, O Russian, O British, O American-all are like this. Last night was a mu’azzam (great) night. The bandits’ names were revealed in Heavens as well as the names of who are saeed (happy) and clean. There is a page on which their names are written with happiness and it appeared on the Preserved Tablet. And there is another group whose actions belong to hellfire. Their names also came out as bandits. Shame on those nations that couldn’t have their names written in the book of Saeeds (happy ones), they didn’t do the service Allah likes. Go ahead O Shah Mardan! O Yaran Shah Mardan. Listen! Understand! “‘Anna l- Quwata Lillahi Jami`aan” (2:165) Whole power, absolute sultanate belongs to our Lord. If He (SubhanaHu wa Ta’ala) judges you, there is no one who can save you because you didn’t accept your Lord, you refused His service. You slaughtered each other to rule the dirty dunya. Shame on you! O Bashar, what were you going to bring to the people of Syria? Here is the fire you brought, here are the weapons you brought. Shame on you and your humanity. But “Fa yantaqimu Llahu Minhu” (5:95). I will take revenge on them, says Allah Almighty. O our Lord! For the honour of this holy night, for the honour of Your Habib (sallAllahu alaihi wa sallam), send us a Sultan who will raise Your flags and defeat these ones. O our Lord, Ya Rabbi. Go ahead O Shah Mardan. May our lives be sacrificed for you, on your way, O beautiful Shah Mardan. Shah Mardan tells you to keep his way so that you may be accepted. Don’t puff up like a turkey. Don’t be proud with your weapons. Above you there are the armies of Angels who will crush and sweep you. A thousand angels descended and made the mushrik armies all scattered. If they didn’t scatter, another 3000, 5000, 7000 angels were standing waiting for the order. And all of them have taswim (marks) like this. It says “Al-Mala’ikati Musawwimina” (3:125). Where are you, O Muslims! You wear the unbelievers’ hats. Why don’t you wear this on your head so that you become majestic, so that angels descend for you. Go ahead O Shah Mardan. There is a nation, there are soldiers among the soldiers Allah sent, who will swallow all the power of the unbelievers. Listen and fear. Go ahead O Shah Mardan. May our health be in afiyah (wellness). May we love and be loved. This should be our aim. We don’t love, neither are we loved. Shame on all the people, and on their claim of humanity. Who doesn’t love is not loved and who is not loved doesn’t love. O Ghani Sultan. Here is your yaran, O Shah Mardan. O yaran Shah Mardan. He is coming. He doesn’t fear any weapons. He can turn whole world upside down with one Takbir. Hide from it, beware of it. Don’t have a desire for the unbelievers- don’t say “I wish they were from us”. The powers that descended from Heavens for Muslims were not granted to the unbelievers. He can destroy them all with one breath. There is such a power. There are 7000 Angels ready in Heavens, to support Islam. Come to your senses O Turk, O Kurd! Don’t say “I want this, I want that”. Seek the servanthood of Allah and everything comes to you, is given to you. If you don’t seek His servanthood what will happen to you is what will happen to the snake. Tawba Ya Rabbi, tawba Astaghfirullah. Go ahead O Shah Mardan. Your yaran admire you. May we also be under your wing of power and protected by you. May he protect us, protect us O Shah Mardan. Protect us O Shah Mardan. Appear O Shah Mardan! O Allah! O Allah! O Allah! With the manifestation of last night may a power open for the nations of the Habib (sallAllahu alaihi wa sallam), Ya Rabbi. May the unbelievers all die, disappear and eat each other. Don’t fight. “Wa kunu mina s-salihin”. “Be from the good ones” says Allah. If not, you are trash. Go ahead O Shah Mardan. Masha Allah la quwwata illa biLlah. Yes, it will definitely come. Starting from today, definitely a power will appear. It is the promise of Rabbu-l Izzat. O our Lord, for the honour of Your beloved Habib (sallAllahu alaihi wa sallam) may You reveal the power of Shah Mardan. May You reveal it. May the majesty of Islam appear Ya Rabb. For the honour of Your Habib (sallAllahu alaihi wa sallam), and for the honour of Shah Mardan, Fatiha. This sohbat is strong. Pay attention. More will come after the news of last night. Pay attention, it will sweep. Who claim to be God… Leave aside the claims of being God, a tornado is coming that will sweep all who claim to be shaytan. There are small tornadoes coming now here and there, spinning. Allahu Akbar. Allahu Akbar. There is also another kind of tornado in Heaven. It sweeps everything when it descends. Aman Ya Rabbi, Tawba Ya Rabbi. Tawba. 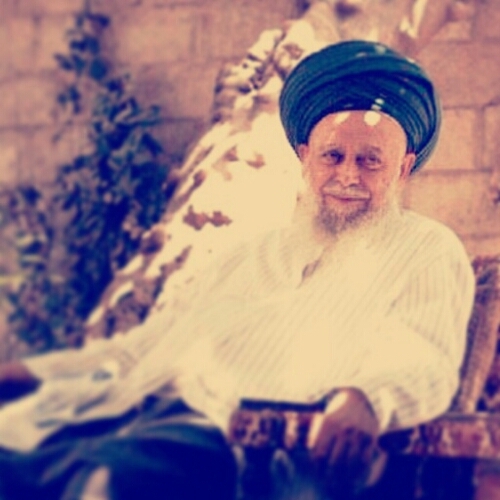 This entry was posted on June 15, 2014 by ASFC in Uncategorized and tagged 15th Shaban, Mawlana Shaykh Nazim, Sayyid Ahmed Amiruddin, Shah Mardan.